Lord Shiva is shown with a crescent moon on his matted locks. There are several stories in the Puranas regarding how the crescent moon appeared on Lord Shiva’s head. The Crescent Moon on the hair also has a symbolic meaning – it represents the cyclical nature of the universe and is also the nectar of life. There is a belief that the rays from the moon fall on earth and nourish the animals and plants on earth – thus it is the nectar of life. Thus Shiva is the Supreme Force that nourishes the earth. Another symbolism is that the crescent moon represents the cyclical nature of the universe. The waxing and waning of the moon symbolizes the cycle through which creation evolves – birth and death. This cycle of creation and destruction is controlled by Lord Shiva – who is time, creation and destruction. Some scholars are of the view that the crescent moon Shiva wears on his crown, is a symbol of love – the nightly love of creation and thus a fertility symbol. In some texts the crescent moon is defined as the quickly swelling one or the eagerly growing one. 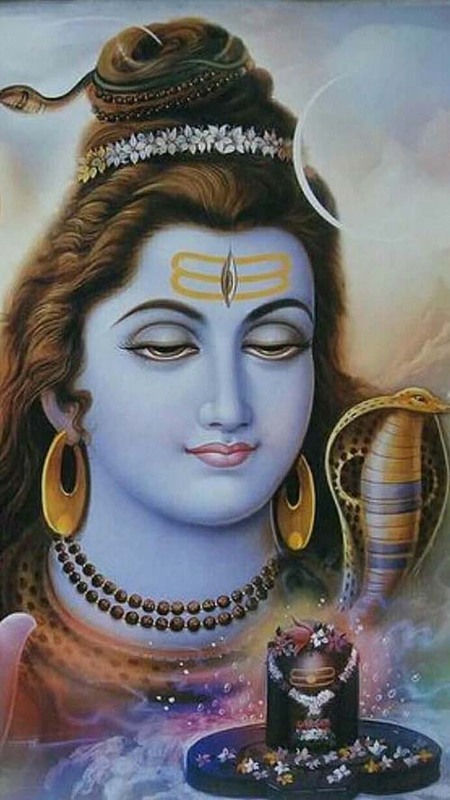 There are numerous other interpretations and each individual finds a new meaning when he/she meditates on Lord Shiva.